FilmTek 2000M combines a fibre-optic spectrophotometer with revolutionary material modelling software to provide an affordable and reliable tool for the simultaneous measurement of film thickness, index of refraction, and extinction coefficient. FilmTek 2000M provides unmatched accuracy, ease of use, and analytical power in a fully integrated package. Ideally suited for patterned device wafers, the FilmTek 2000M allows for the measurement of spot sizes as small as 2 µm. 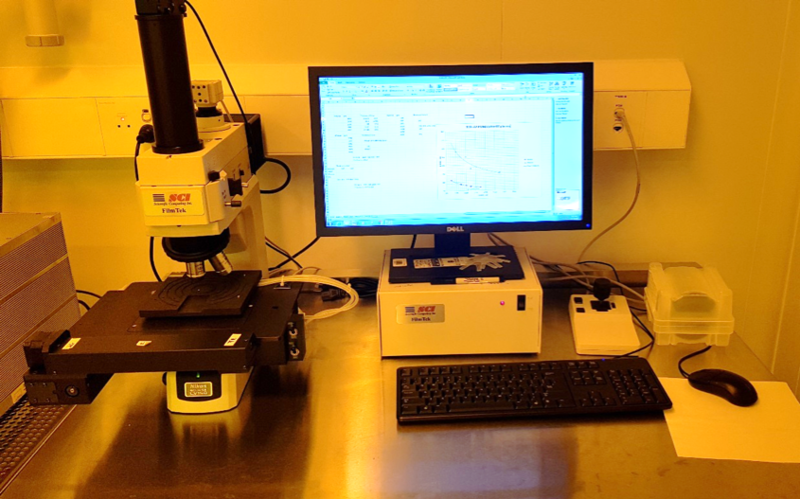 This system is located in the wet room in the cleanroom and is owned by ANFF-Q (http://anff-q.org.au) but can be trained and accessed by CMM clients.